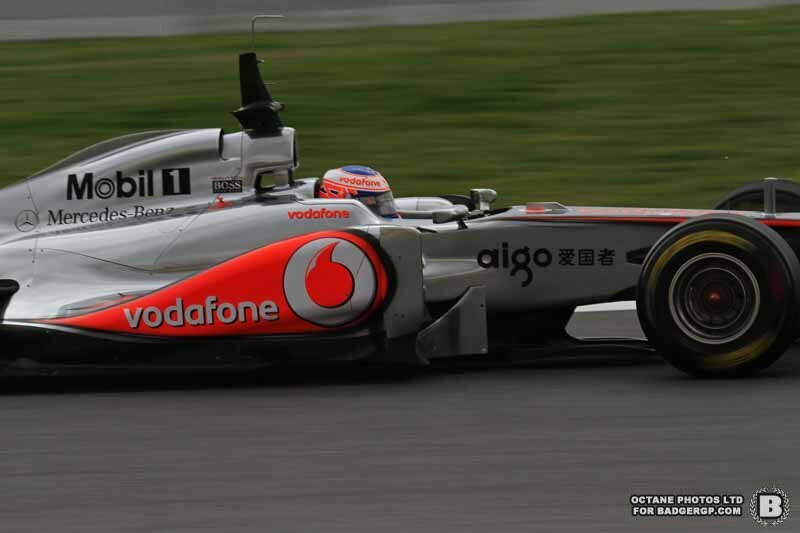 It’s time to race on home soil for both Jenson Button and Lewis Hamilton this weekend. Both have one win apiece this year for the Woking team, and both drivers are looking forward to competing with the Red Bulls. We also hear from team principle Martin Whitmarsh, eager to close the gap to Red Bull thanks to the ban on off-throttle exhaust blowing. 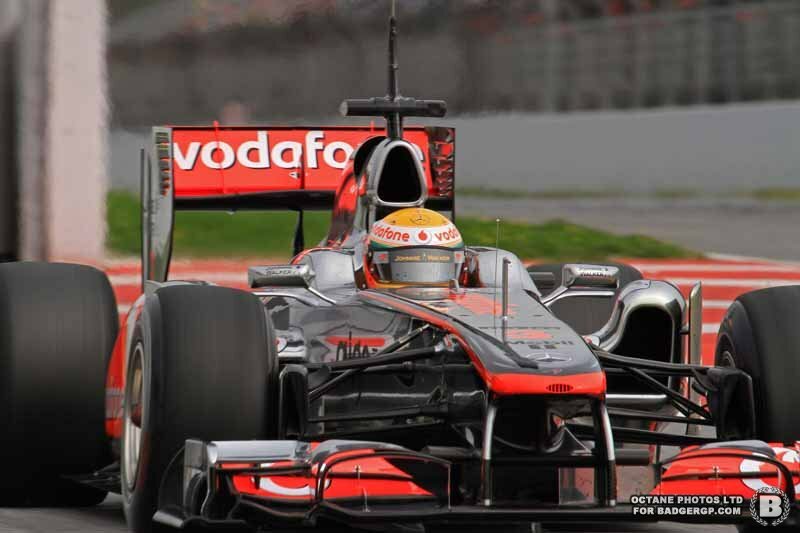 “My victory at Silverstone in 2008 was one of the sweetest and most satisfying moments of my entire Formula 1 career – and it’s a memory that I always carry with me. Standing on the top step of the podium, and looking across at the sea of flags and faces in the grandstands opposite was simply incredible. For this year, of course, we head to a very new Silverstone – and while much has changed around the circuit and in the paddock, I’m sure that all those thousands of fans will be just as passionate as ever – it’s one of the greatest things about the Santander British Grand Prix. Going into this race, we’re facing some very stiff new interpretations of the regulations; while they’ll affect all teams, it will be interesting to see if the competitive order is changed as a result. It’s going to be a busy weekend for our engineers as they adapt – as always, they’ll do a fantastic job to ensure we stay competitive. “My best finish at Silverstone is fourth, which I earned in 2004 and last year, after a great charge through the field after a disappointing performance in qualifying. Although it’s a place that’s not been too kind to me, I’m really looking forward to this year’s race: we raced on the new layout last year, but this will be the first time we’ve experienced the new circuit as it’s really meant to be. With a new startline, a new first corner and an all-new pit and paddock complex, the new facilities should be fantastic, and I think they’ll confirm Silverstone as one of the best circuits in the world. Still, it’s going to be strange sitting on the grid with the prospect of going flat into Abbey as the first corner! “This will be an exciting time for teams and fans alike as we head to an all-new Silverstone for the Santander British Grand Prix. Silverstone has been the spiritual home of Formula 1 in Great Britain since the birth of the world championship back in 1950, and it’s hugely rewarding to see that, not only has the circuit gone from strength to strength, but that it’s still leading the way. The new track layout, which we raced for the first time last year, and the superb new pit and paddock facilities, will confirm Silverstone as one of the greatest racetracks in the world and cement it as the home of British motor racing. This weekend will also be exciting for different reasons, with new restrictions placed on off-throttle exhaust blowing and the anticipated effect that may have on the competitive order. As always, our engineers have been committed and resourceful in managing this mid-season change, and I’m optimistic that we’ll remain competitive and will hopefully be able to provide the many thousands of home fans with a good result next weekend. Next article£1 for a Williams Cap!